I have really enjoyed the Tuesday evening enthusiasm during the WBT webcasts!! Love talking and chatting with all of you teachers out there!! It is so neat to have a cool community! I have been blown away from the response to my Super Improvers Owl Themed Wall Kit! I am so glad you are finding it useful! I got inspired and decided to try another one so here is an Ocean Themed Super Improvers Wall Kit freebie! Instructions are included! 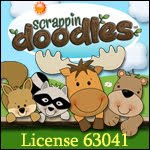 Click on the picture above if you would like a free copy! Also, check out my Super Improvers Wall Froggy Themed Wall Kit! Click on the picture below! I really like how you put together the Ocean Themes Super Improver Wall kit. I would love to have a set. Thanks! I just love this! Please send me the link. I love your frogs...my classroom has a frog theme. I would love to have a copy of your frog set. Thanks so much. Karen kls2805@msn.com Thanks again...such a wonderful idea. Hi! 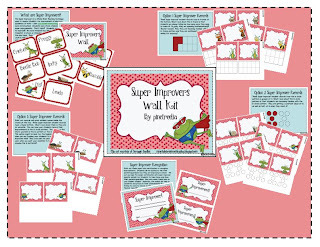 This is my first year having a Super Improver Wall! I would love to have a copy of your set!! I'm interested in starting a SIW this year and we are the first grade froggies! Can you please send me link for this set? How much? Thanks so much. 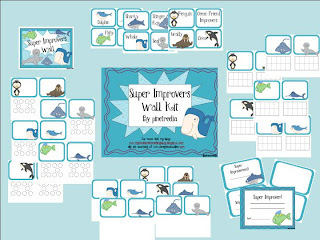 I would like to try Super Improvers this year in my classroom. My classroom has a theme of frogs and would love to use you wall froggy theme kit:) I would greatly appreciate a copy of it. Thanks so much for sharing! Love your frog theme! If you are willing to share please e-mail. If you are willing to share, I would love a copy of your frog theme! More than OK!! Thank you VERy much!! Power Pix Wall Kit Owl Theme and Fun Bursts! !